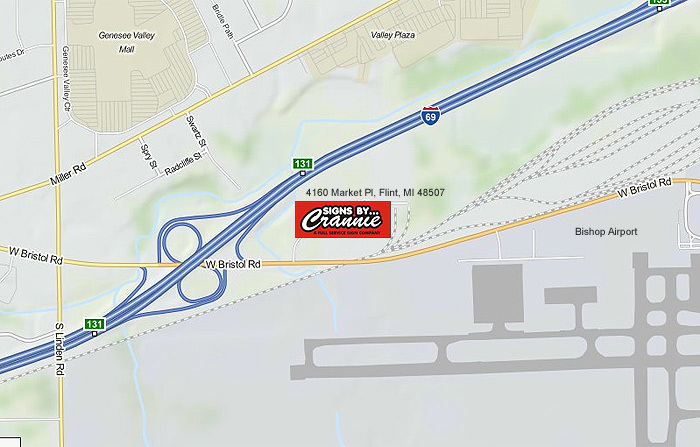 Signs by Crannie has begun the move to their new building in Flint in April, 2015 – 30 years after the business was started. The recently renovated 52,000 square foot building at 4145 Market Place in Flint next to Bishop Airport represents the continued expansion of the company started in April, 1985 by Dan Crannie, owner and founder, whose business outgrew its previous three locations. 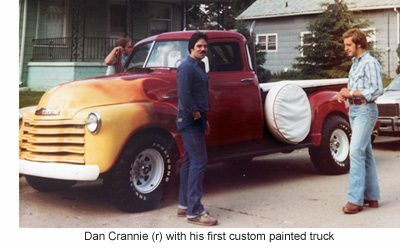 Crannie began his career pin-striping cars for friends while attending Southwestern High School in Flint. The skills he learned at the Genesee County Skill Center landed him his first job hand-painting window signs for Hamady Brothers Grocery stores. In 1985, he started Signs by Crannie, and rented space from his uncle at Crannie Construction. A short time later, he purchased his first building Flint Township, and later moved the business to Flushing, MI. Since its inception, Signs by Crannie has expanded not only locally, but has opened a second plant in Fort Myers, Florida. The company has built signs across the Midwest, as well as delivering signs to Germany, France, Portugal, Venezuela and Brazil. Recent notable projects include signage for the Southwest Florida International Airport, The Citrus Bowl Stadium in Florida, and the 4 ½ star Godfrey Hotel in Chicago. He also currently manufactures and installs signs in Michigan for McLaren Medical Centers, the Hurley Medical Center, Applebee’s Restaurants, and the Genesee Valley Center among others. However, Crannie is most proud of his local projects like lettering trucks for the trades, police and fire emergency vehicles, and small businesses in the Flint area.